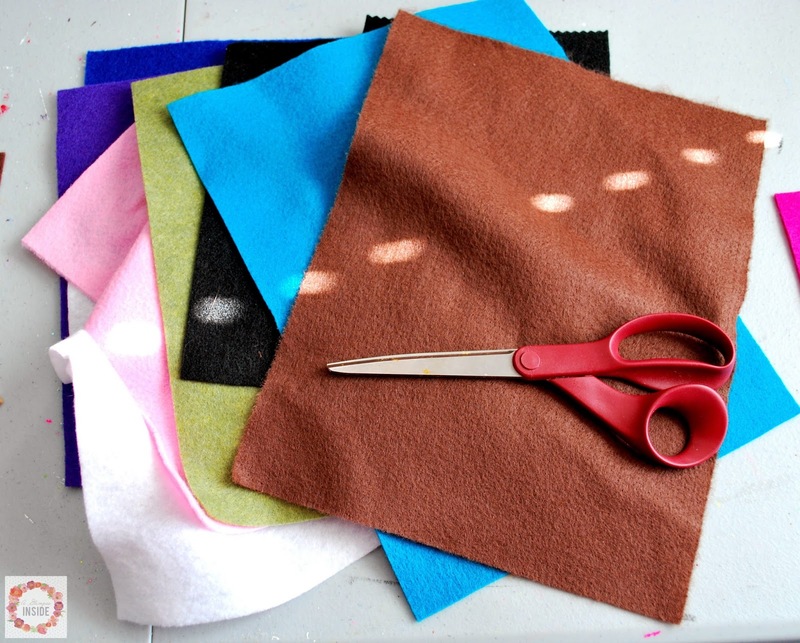 You will need to buy felt on a bolt in the fabric section as your background. Cut to whatever size you want. I didn't measure, just decided this was a good size and went for it. 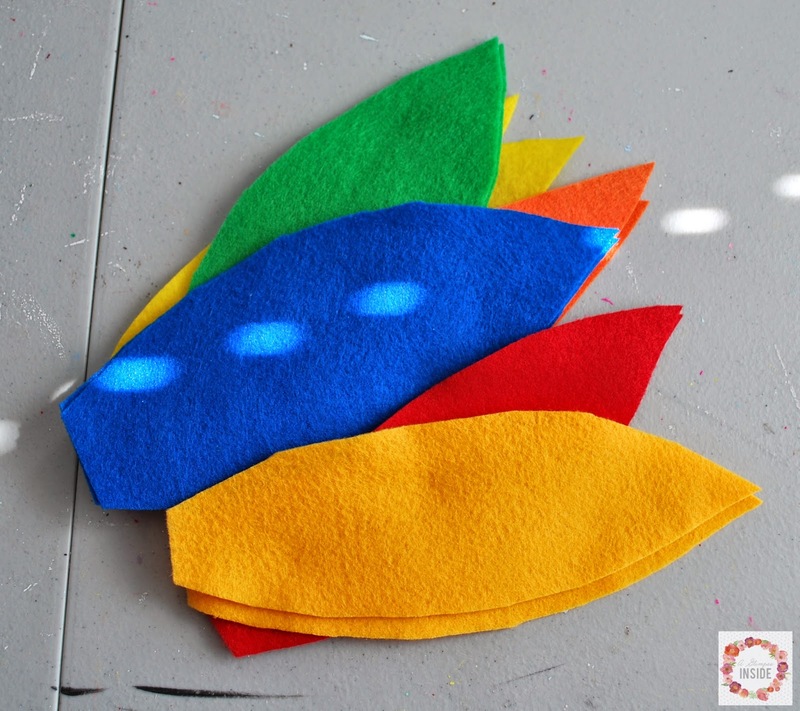 Use the small sheets of felt for the feathers. 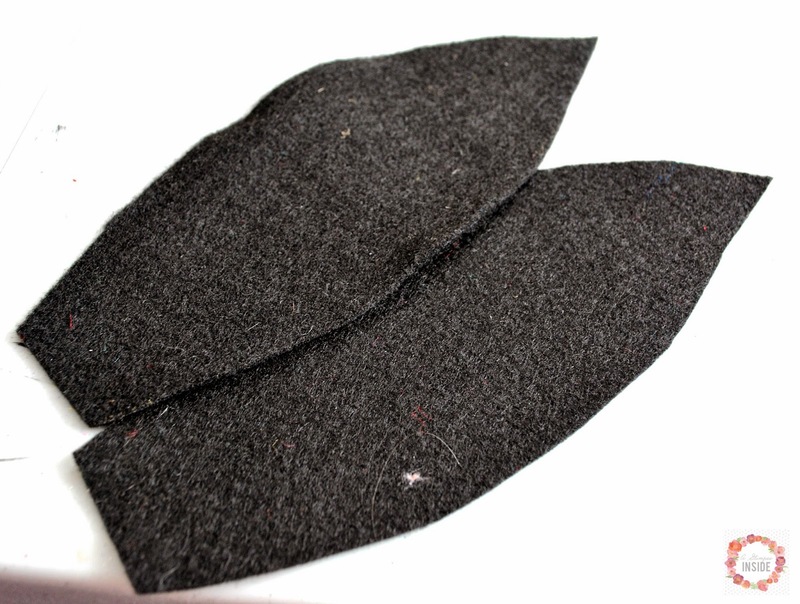 You will fold the felt, hamburger style, and cut the felt in the shape of a feather from one end of the felt to the other. 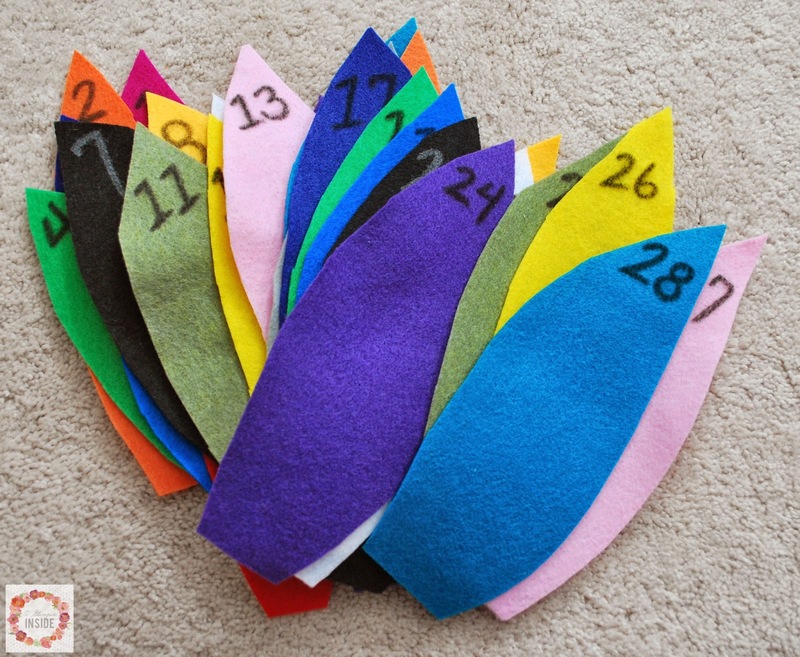 Since the felt is folded, you will get 2 feathers of each color you cut. I did numerous colors for the feathers because that is what I had on hand but you could only do a few if that is what you prefer. 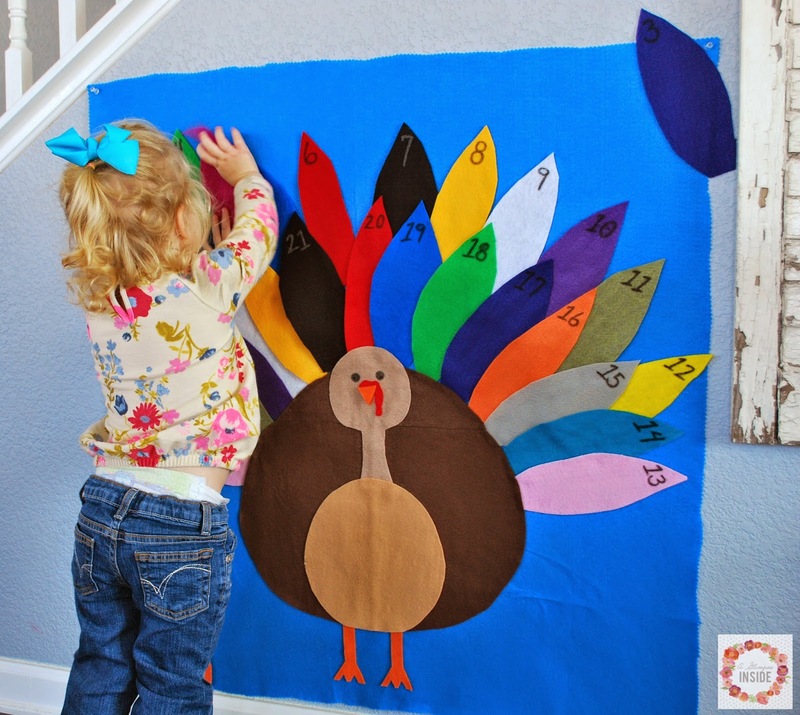 Once all your feathers are cut, number them all 1-27 or 28 using a fabric marker. I chose to do 28, not sure if Thanksgiving is ever on the 28th but you will at least need 27 feathers because it does fluctuate between the 26th and 27th frequently. Now onto the turkey's body. 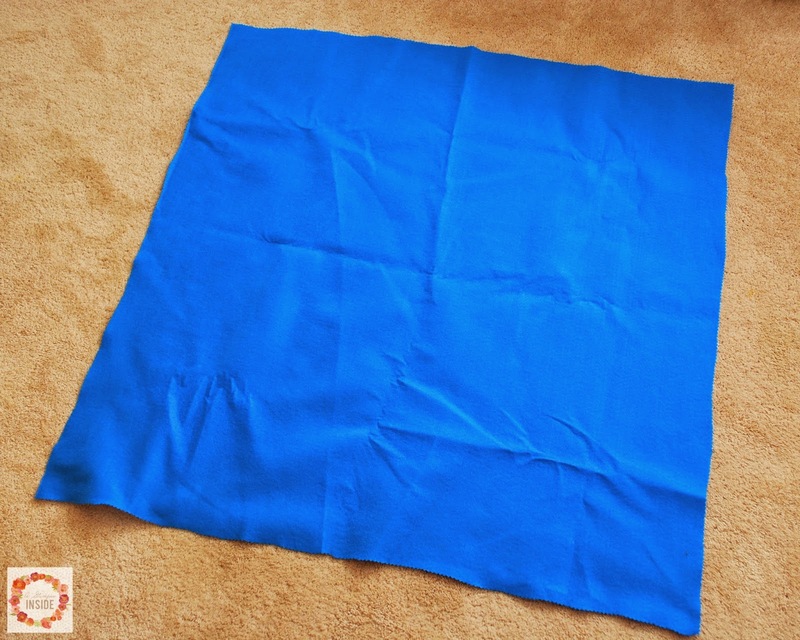 I didn't have a large piece of brown felt but you could easily buy some when you buy the background felt. 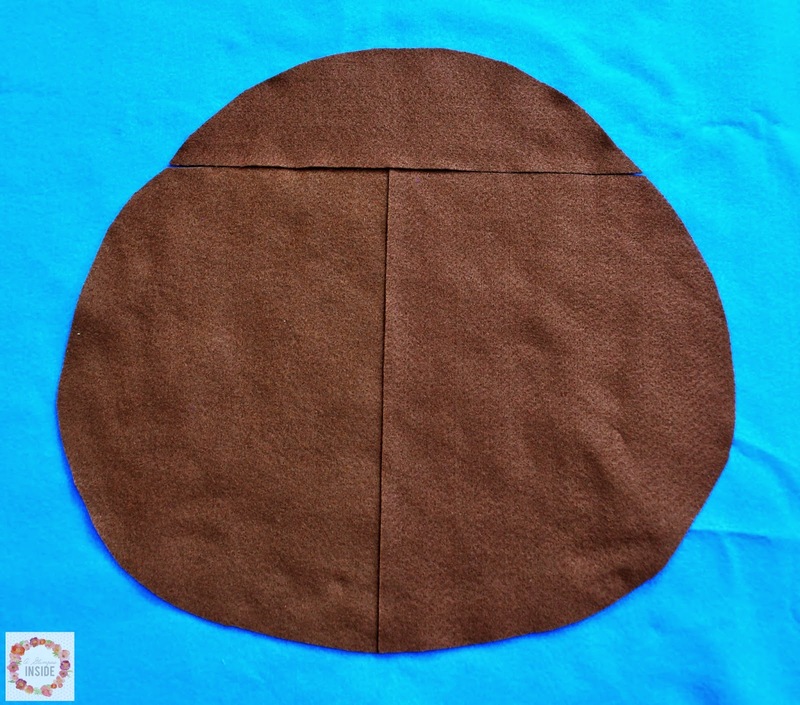 If you only have small brown pieces like me this is how I cut the felt- I placed two pieces on top of each other and cut a half circle. 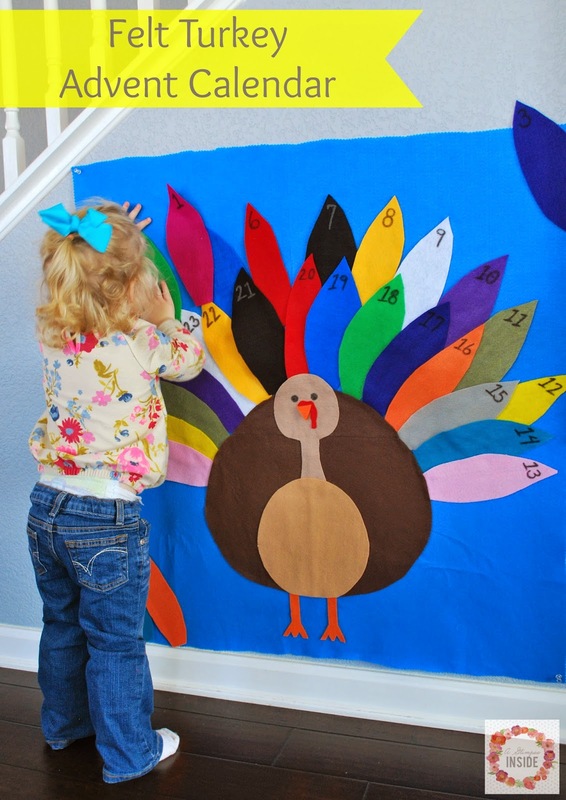 Then cut another half circle to finish the turkey's body. I then chose to glue his body down to the felt using Fabric Tack Glue. 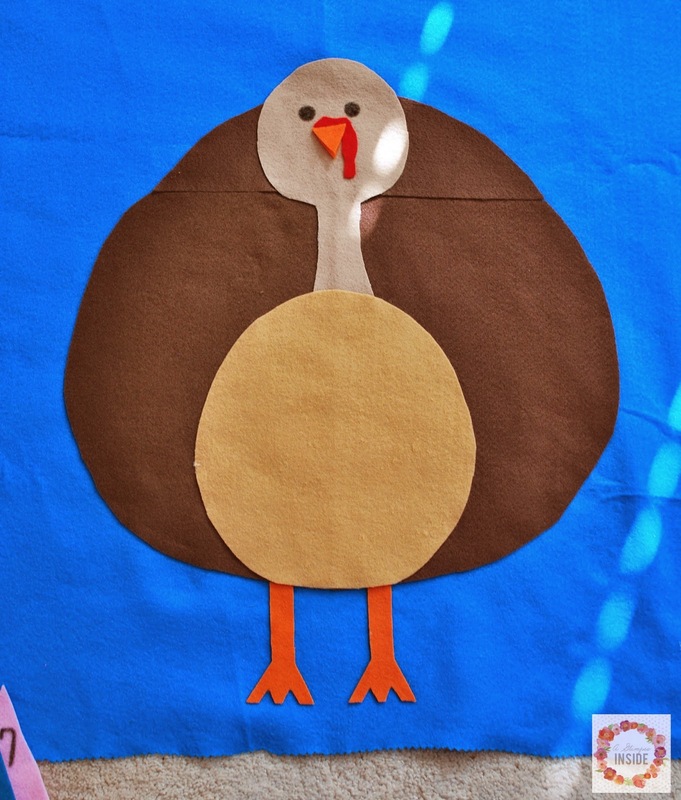 Be sure not to glue right up the edge because you will slip the feathers behind the turkey's body. 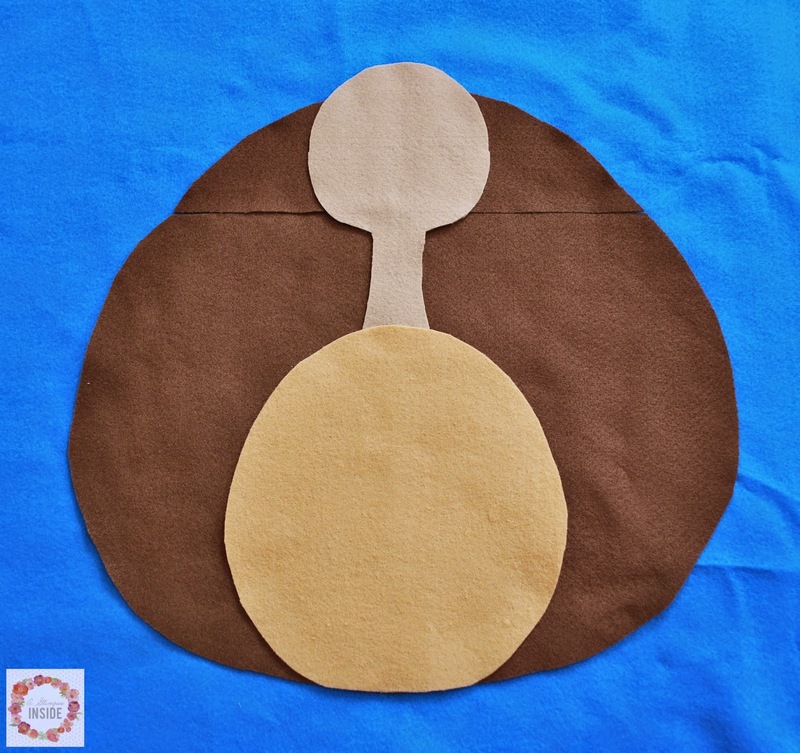 I then cut a belly out of a light brown color, and a head and neck out of beige felt. 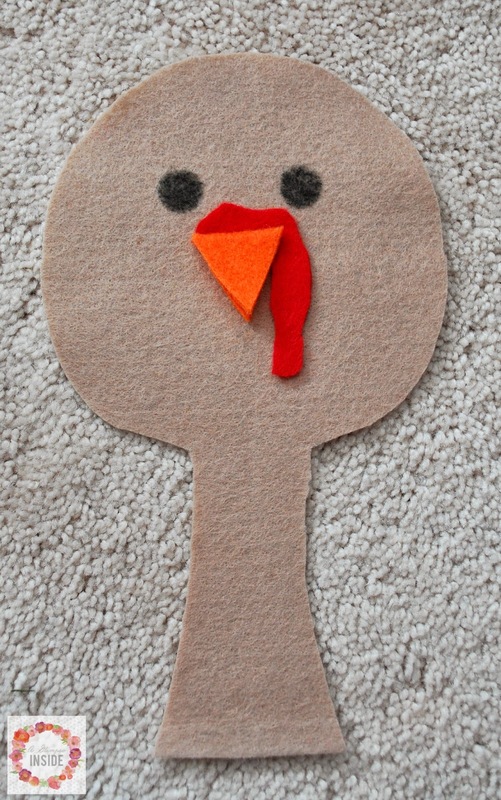 Using my fabric marker, I drew on eyes and then used orange felt for the beak and red for it's snood. I glued both the beak and snood to the face. Cut some feet out of orange felt and glued the feet, belly, and face onto the body. 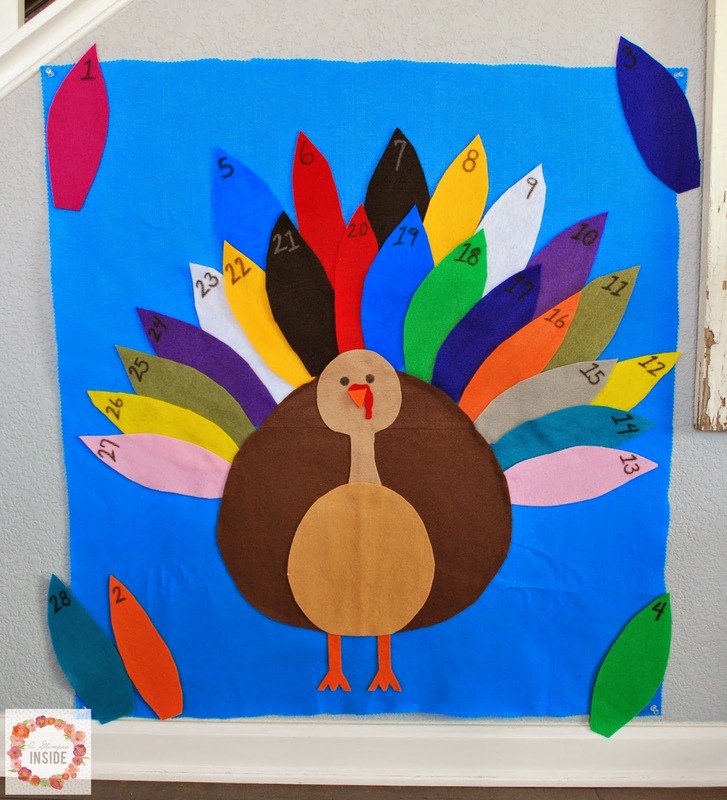 At the beginning of the month, begin by placing a feather on to the turkey each day until his tail is full on Thanksgiving day. 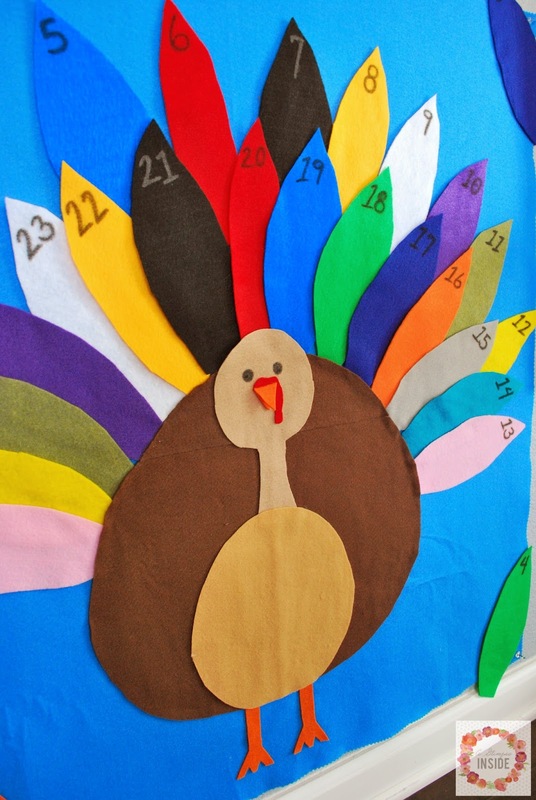 Start with the higher numbers in one row then add a second row of feathers behind the first row as you go. 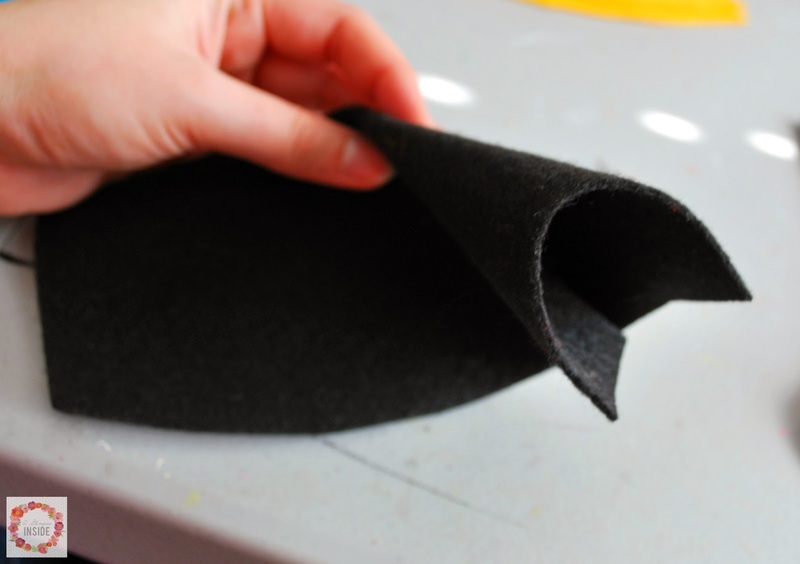 Gotta love that felt sticks to felt!! Hope you make one for yourself! !